Going back to work after having a baby isn’t an all-or-nothing decision. Before your baby is even born, it is very likely that you will need to decide about when, or if, you will return to work. Lots of moms return to work full time, but others opt for a part-time schedule, some work from home and some forgo work altogether and become stay-at-home moms. But how do you know what you want to do with your job when you don’t even have a baby yet? And what if you change your mind once the baby is born? Don’t feel as though you need to rush your decision—you have your entire pregnancy to consider all the options. These options vary from country to country and are not consistently applied in any one geographic location. Check with your employer and negotiate your own work/life balance. 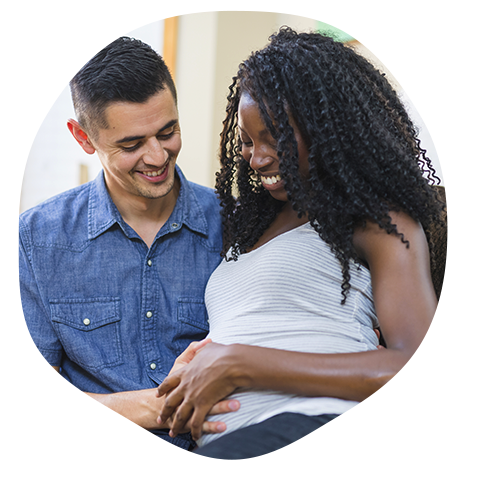 Read your human resources materials to determine if you qualify for the federal Family Medical Leave Act (FMLA), which allows workers to take up to 12 weeks of unpaid leave during any 12-month period to care for a baby. To view the criteria for whether your company is covered and what your entitlements are, visit www.dol.gov. In addition, 11 states have adopted similar statutes to the FMLA, and the federal website gives a comparative analysis of state-specific versus federal provisions. Many times, state and federal statutes can be applied concurrently, or you can follow the one that serves you best. Once you decide how much time you’ll have off, start thinking about coming back. Find a co-worker who’s a mom, and ask her about her experience returning to work at your company. When you’re ready, approach your human resources department with a realistic plan that you have discussed at length with your co-parent. When thinking about whether a part-time schedule is right for you, it’s crucial that you first ensure that you and your family can handle your reduced income. Are you willing to forgo some of the luxuries (vacations, shopping and dinners out) that a full-time salary afforded you? Does your company offer financial and health benefits to part-timers? Weigh your part-time salary against the costs of commuting, work-day lunches, business attire, partial child care (if needed for the days you’re at work) and your contribution toward your benefits. Will that amount impact your family? Do the legwork early on so it’s simple for your employer to agree to your new schedule. “Make sure that your boss doesn’t have to do the work of shuffling or restructuring,” says Peters. “They’ll be more receptive to your plan if you show them why it will be successful.” Detail your part-time hours, salary, health and employee benefits and expectations for workload and shared responsibilities with other employees. Be prepared to suggest a complement: Someone who will do your job on the days you’re off. Maybe you’ll be returning to work without spending much time at the office at all: Technology allows for so many options, and companies are never anxious to lose a productive employee. You can tap into the company network via your home computer and set aside hours that you will be easily reachable for conference calls. A quiet room with a computer, phone and a fax/scanner/printer can become a truly successful workspace (and maybe even a tax write-off). Help your employer understand why this arrangement will suit your job by assuring them that the quality of your work will not be sacrificed. Let them know that your plan—for example, hiring a babysitter for a few hours a day—will allow for uninterrupted work time. Committed to breastfeeding but concerned that going back to work or school might make breastfeeding too hard? With a little planning, you can do it!